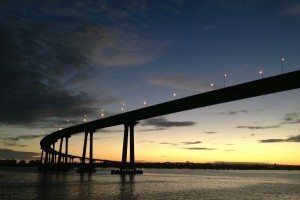 For sheer volume, San Diego carries the week’s West Coast biotech news, with everything from trial failures (Lpath, MEI Pharma) to stock sales and deals (Retrophin, Vical, Mast) to good product news (Orexigen, Conatus). For scientific impact, however, Amgen tips the scales with the big publication of Icelandic genomic data from its subsidiary DeCode Genetics. Meanwhile two Bay Area firms, Calico and Avalanche, have built ties to academic institutions. All this and much more in the roundup, so let’s get to it. —deCODE Genetics, the Icelandic subsidiary of Amgen (NASDAQ: AMGN) of Thousand Oaks, CA, published four papers in Nature Genetics that paint a complex portrait of the genetic variation of the Icelandic people. The researchers sequenced the whole genomes of more than 2,500 Icelanders and did partial studies of 104,000 more. The work sheds light not only upon the general field of genomic studies but also upon the function of the Y chromosome, the prevalence of people who are missing certain genes, and a particular risk for Alzheimer’s disease. —Calico, the South San Francisco, CA, startup backed entirely by Google, said Tuesday it would fund aging-related research at the University of California’s QB3, which has built a network of scientists and entrepreneurs from three UC campuses and private industry. The four-year partnership gives Calico the option to take exclusive rights to discoveries that stem from certain Calico-QB3 collaborations. —Avalanche Biotechnologies (NASDAQ: AAVL) of Menlo Park, CA, and the University of Washington in Seattle are teaming to develop treatments for color blindness. Researchers Jay and Maureen Neitz are using Avalanche’s gene therapy technology in their lab and have joined the company’s scientific advisory board. —San Diego’s Orexigen (NASDAQ: OREX) received marketing approval in Europe for its weight-loss product Mysimba, a drug combination that is approved in the U.S. under the brand name Contrave. —GlaxoSmithKline (NYSE: GSK) has opened an office in San Diego, a physical footprint for its business development team. It follows two years after GSK inked a deal with San Diego’s Avalon Ventures to jointly fund up to 10 brand-new startups scouted by Avalon. —San Diego oncology firm MEI Pharma (NASDAQ: MEIP) lost over two thirds of its market value Monday after it said its lead cancer drug, pracinostat, failed to meet the primary goal of a mid-stage study for myelodysplastic syndrome (when the bone marrow doesn’t produce enough healthy blood cells). MEI was previous an Australian firm known as Marshall Edwards, which moved to San Diego in 2010 to reboot following the failure of its late-stage ovarian cancer treatment. —More bad clinical news from San Diego: Lpath (NASDAQ: LPTN) said Tuesday that a mid-stage trial of its therapeutic antibody drug Asonep failed to meet the main goal in a study of patients with advanced renal cell carcinoma. Lpath shares fell 23 percent. —Hans Bishop, CEO of Juno Therapeutics (NASDAQ: JUNO), and Arch Venture Partners cofounder Bob Nelsen, both of Seattle, penned an op-ed in Forbes this week arguing against proposed changes to U.S. patent law. —Seattle’s Institute for Systems Biology announced Thursday a three-year project to delve into the biology of Lyme disease and develop diagnostics. —Tekmira (NASDAQ: TKMR) of Vancouver, BC, raised $151 million in a secondary offering. —Mast Therapeutics (NYSE: MSTX) of San Diego has filed for a secondary stock offering that would raise $167 million. The company will use the proceeds to continue developing treatments for impaired microvascular blood flow and sickle cell disease. —New York and San Diego-based Retrophin (NASDAQ: RTRX) raised nearly $150 million from an offering of nearly 8.9 million shares. Of the cash, $27 million will go to Asklepion Pharmaceuticals to help pay for a drug Retrophin acquired when it bought the Baltimore, MD company last week. —Vical Therapeutics (NYSE: VICL) of San Diego said Wednesday it has bought from Astellas Pharma the rights to a preclinical treatment to fight Aspergillus fungal infection. Vical is paying Astellas $250,000 in cash and about 1 percent of its stock up front. It could end up paying Astellas up to $100 million if the drug ever comes to market. —Specialty pharma SteadyMed (NASDAQ: STDY) of San Ramon, CA, went public late last week and raised about $40 million in its IPO. —Nightingale, an alumnus of Bay Area accelerators StartX and Y Combinator, launched its eponymous app that provides data management and analysis for health providers caring for autism patients. The group, led by a recipient of a Thiel Fellowship grant, will soon expand the app to let parents enter and gain access to data. —San Diego’s Conatus Pharmaceuticals (NASDAQ: CNAT) said a mid-stage trial of its emricasan, its drug for patients with nonalcoholic fatty liver disease (NAFLD) and nonalcoholic steatohepatitis (NASH), met its primary objective. The drug blocks a signaling pathway that triggers programmed cell death and inflammation, believed to drive the progression of liver disease. —More San Diego dealmaking: The city’s Biocept (NASDAQ: BIOC plans to combine cancer diagnostic technologies with Israel’s Rosetta Genomics (NASDAQ: ROSG). Biocept specializes in technology used to analyze biomarkers of cell-free circulating tumor DNA. Rosetta specializes in microRNA-based diagnostics. —San Diego’s Allele Biotechnology & Pharmaceuticals agreed to provide its technology for generating human induced pluripotent stem cells to Marlborough, MA-based Ocata Therapeutics (NASDAQ: OCAT), a specialist in regenerative medicine for ophthalmology. —Amgen will appeal a court’s ruling that Novartis (NYSE: NVS) can proceed with sales of Zarxio, a biosimilar version of Amgen’s white-blood cell booster Neupogen, Reuters reported Wednesday. 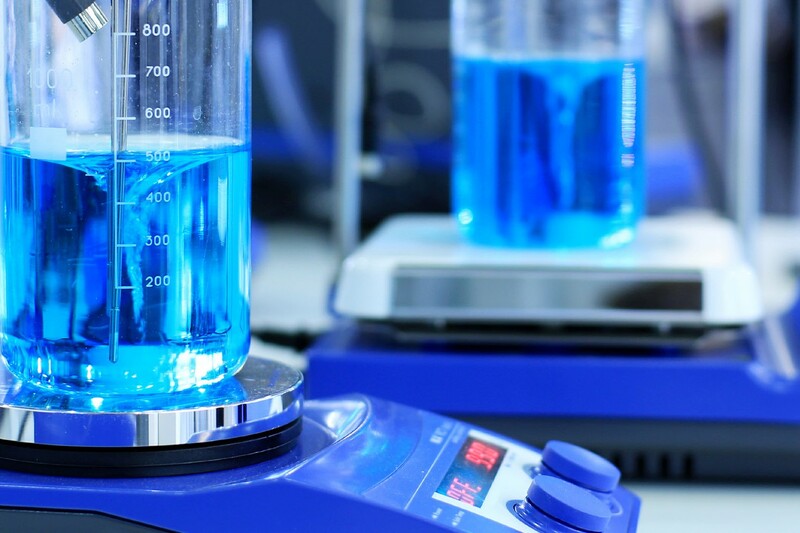 Zarxio was the first biosimilar to receive FDA approval.